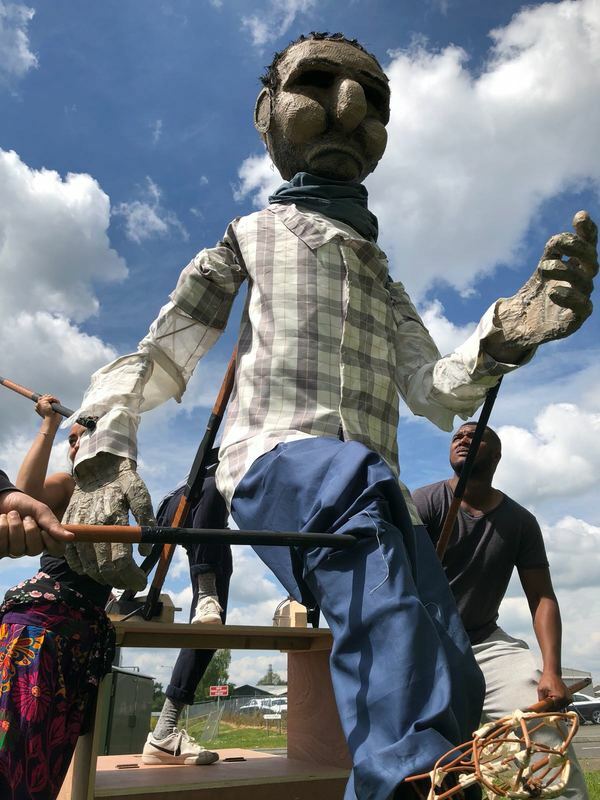 Puppet design for Theatre Témoin's production of Routes. 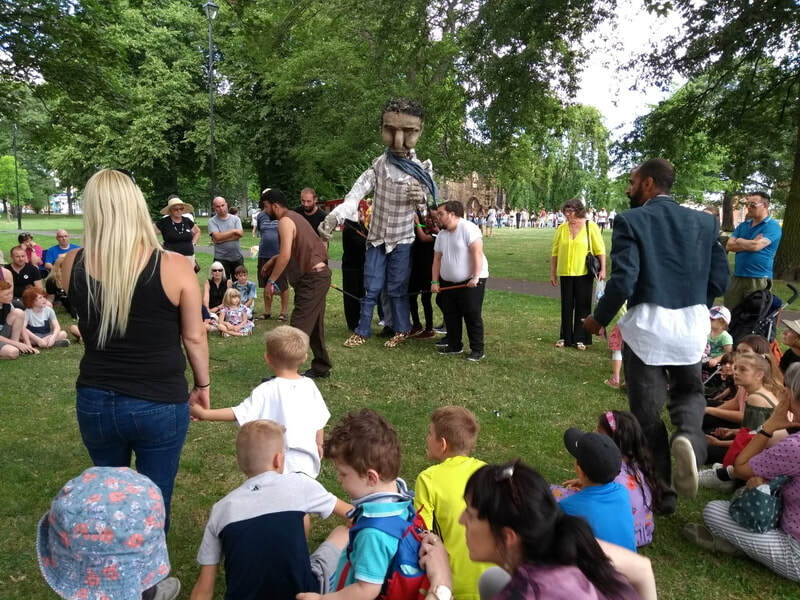 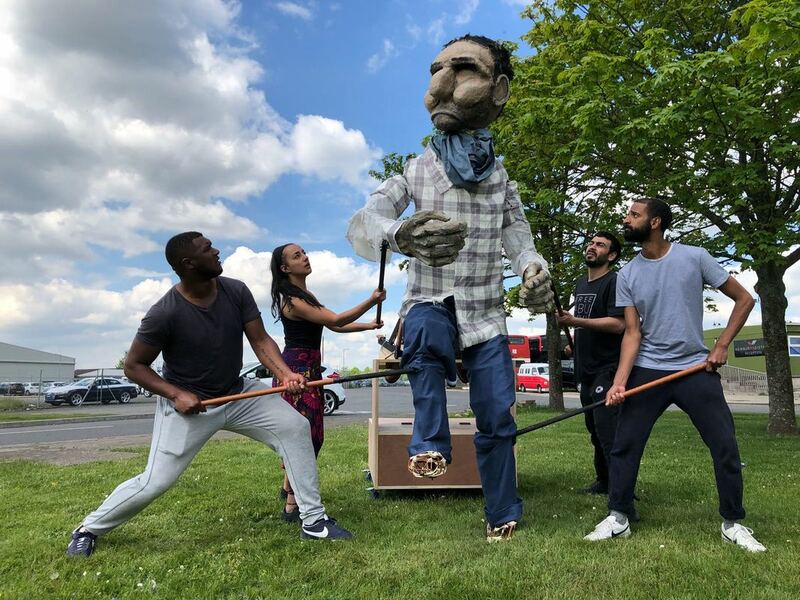 This epic outdoor production uses giant puppets and powerful stories, all puppeteered by participants of local workshops. 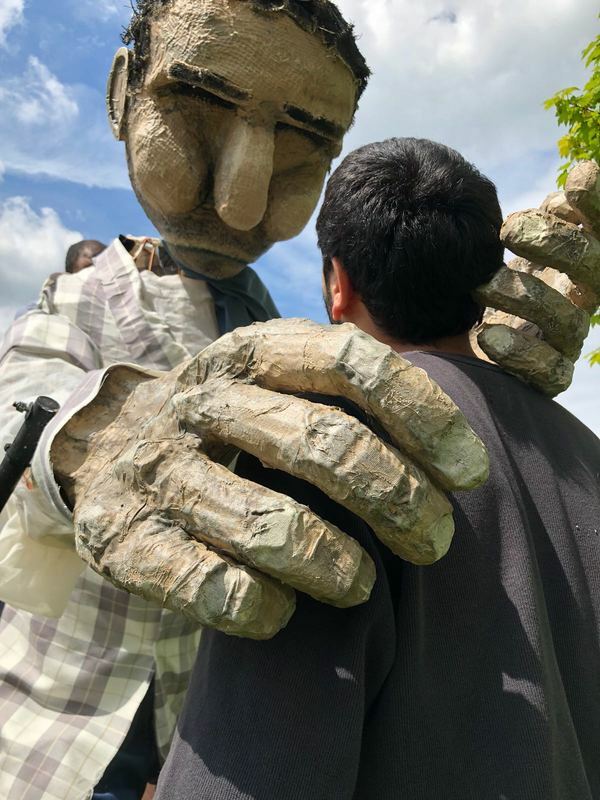 More info here.